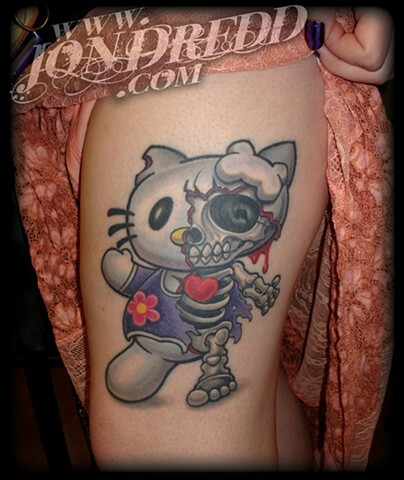 A different take on the iconic, "Hello Kitty"
This version of Hello Kitty appeals to wide range of fans. With enough gore to appease monster lovers and zombie fans, while keeping it cute and friendly with that "hey guys" wave. This was a fun concept to get into, and even more fun to tattoo!